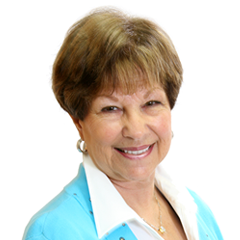 Marianne has helped buyers and sellers for 29 years. She was previously at Long and Foster for most of her career. Her mission has always been to give the best service possible to her clients and customers. She furthered her real estate knowledge in obtaining the Certified Real Estate Specialist (CRS) and Graduate of Real Estate Institute (GRI) designations. She went further and obtained her Associate Broker license in 1998. She has served for several years on the Grievance Board and is currently serving on the Professional Standards committee for the Richmond Association of Realtors. Marianne has been recognized by RAR as a distinguished achiever from 1989 to the present. She is also the recipient of the Adrian Benheim award in 1998. This award is only presented to one agent a year for sales achievement, professional knowledge, and service to the community. Marianne and her husband Charles go far beyond what would be expected in a Realtor in providing services beyond expectations. They are always willing to lend a helping hand when needed. Marianne’s community service includes the following organizations: March of Dimes, Heart Fund, Diabetes, and American Cancer Society. Marianne’s caring attitude reflects in her everyday life in helping others. You two always treated me as if I were your daughter. I always know with you by my side, that everything will be handled. I trust you and Charles better than I do my own family because in all things you always have my back!!! You helped me sell my home for nearly twice what I originally paid. I moved away and good married but that didn't work and I came home again and got back in touch with Charles and Marianne to start looking for my new dream home. There were huge hurdles and bumps, but Marianne smoothed it out and made it happen. I can never say enough GOOD things about Charles and Marianne. Thank you for yet again making all my dreams come true. You are better than family to me and I love you both!! !